FCC Chairman Julius Genachowski made a surprise visit to the Dayton Hamvention on Saturday morning, May 21. According to reports from Hamvention officials, Genachowski was flying to Dallas when his plane was diverted to Dayton due to weather issues. 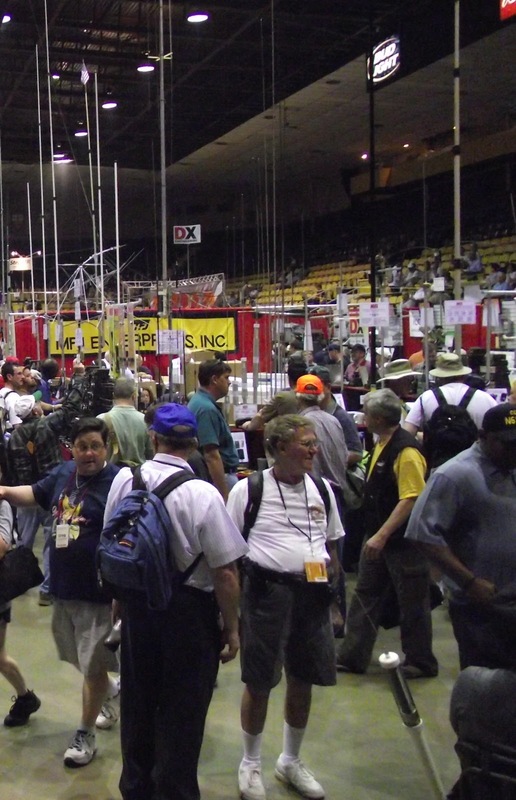 When he found it was difficult to get a hotel room for the night because nearly 20,000 amateur radio operators were in town for Hamvention, the FCC Chairman decided to visit the show before resuming his trip the next morning. He reportedly spent about an hour and a half at Hara Arena, and show officials said he was impressed with what he saw. Another Dayton is in the history books, and while we don't have any numbers yet from the organizers, it was by all accounts a very successful show for both buyers and sellers. Lots of happy faces were seen accompanying lots of big boxes and assorted smaller goodies through the halls of Hara Arena. As always, the forums were well attended and one this year's most popular speakers was astronaut Col. Doug Wheelock, KF5BOC. Along with the usual challenges of organizing for such a large number of people came the unusual challenge on Saturday of a major sewer backup resulting in the closure of most of the restrooms inside Hara Arena and a sewage leak into the flea market area. Attendees managed by using portable toilets already set up outside and stepping gingerly through portions of the flea market. Everything was restored to normal by Sunday morning. While the weather for Hamvention was about as good as it could be, severe weather across the nation's midsection on Sunday caused travel challenges for many attendees who were flying home or driving to the west from Dayton. Many attendees, including some CQ staff members, didn't get home until Monday afternoon. The National Oceanic and Atmospheric Administration (NOAA) is predicting a higher-than-normal Atlantic hurricane season for 2011. NOAA's Climate Prediction Center says it is likely that there will be 12-18 named storms this year, six to ten of which could become hurricanes. Of those, the center predicts that three to six may become major hurricanes (Category 3, 4 or 5). Each of these ranges, says NOAA, has a 70% likelihood, and indicate that activity will exceed the seasonal average of 11 named storms, six hurricanes and two major hurricanes. Amateur radio clearly has a friend at the top of the Federal Emergency Management Agency. 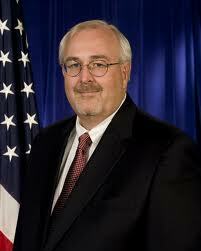 In a speech at an FCC forum on earthquake communications preparedness in early May, FEMA Administrator Craig Fugate listed amateur radio as one of four broad areas, "all equally important," that are critical to the mission of meeting the needs of disaster survivors. The other three are public safety communications, broadcast radio and TV, and personal wireless communications. Calling hams "the ultimate backups" and "our last line of defense," Fugate noted how amateur radio often provides the first communications out of stricken areas, "getting the word out in the critical first hours and first days as the rest of the systems come back up." There is a tendency, he said, to dismiss hams because our other communication systems generally are very reliable and "that we can never fathom that they'll fail. They do. They have. They will." He urged including "a strong amateur radio community" in emergency planning because, "when you need amateur radio, you really need 'em." 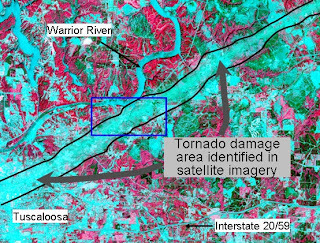 The path of destruction left behind by the EF-4 tornado that roared through Tuscaloosa, Alabama, on April 27 is clearly visible in a satellite image from NASA's ASTER satellite system. The Advanced Spaceborne Thermal Emission and Reflection Radiometer is part of NASA's earth-observing Terra satellite. 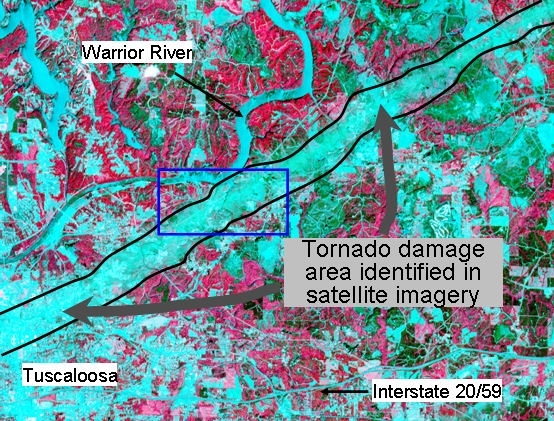 According to NASA's Science News, the photo shows the "tearing up" of vegetation along the twister's path. As always, ham radio was a key element of the response to the outbreak of tornadoes in the southeast in late April and early May. For a comprehensive report on amateur activities, see the "Public Service" column in the upcoming July issue of CQ. 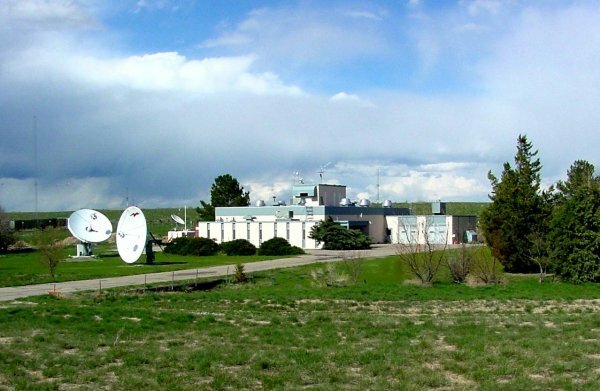 The Space Weather Prediction Center will discontinue its regular geophysical alert messages on WWV and WWVH as of this coming September 6, according to the ARRL Letter. These messages include solar flux readings, A and K indices and reports on current and predicted space weather storms. The reports, which currently air on WWV at 18 minutes past each hour and on WWVH at 45 minutes past, will continue to be posted on the SWPC's website. Comments and questions may be directed by e-mail to <swpc.wwv@noaa.gov>. The Anchorage VEC, one of 14 Volunteer Examiner Coordinators in the United States, has petitioned the FCC to grant lifetime credit for all amateur examination elements passed, even if the license associated with them has been expired for more than two years. Currently, only Technician exams passed before 1987 are granted lifetime credit. According to the ARRL Letter, the group says it is unfair to grant element credit for some applicants but not for others. At press time, the FCC had not indicated whether it would post the petition for public comment. The FCC is proposing a 90-cent increase in the fee for obtaining or renewing a vanity amateur radio callsign, from the current $13.30 for a 10-year term to $14.20. The fees tend to vary slightly from year to year. According to the ARRL, they have ranged from a low of $11.70 to a high of $70. The FCC says it estimates that it will receive more than 14,000 vanity callsign requests or renewals in the upcoming fiscal year. … FCC Commissioner Meredith Attwell Baker stepped down from the Commission on June 3 -- about a month before the end of her term -- to take a job with Comcast as its Senior Vice President of Government Affairs for NBC/Universal. President Obama will have to name a Republican to replace her, as the law permits no more than three members of one political party on the five-member commission. 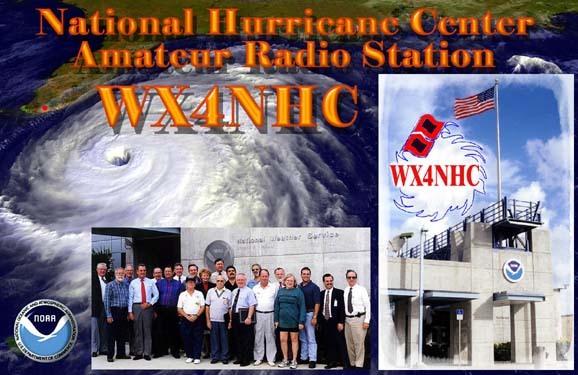 … Julio Ripoll, WD4R, Assistant Coordinator of the amateur radio station at the National Hurricane Center, was honored in April at the National Hurricane Conference. The ARRL Letter reports that Ripoll was awarded the National Weather Service's Distinguished Service Award for "exceptional service in providing emergency communication during hurricane events over three decades while leading (the) WX4NHC Amateur Radio station at the National Hurricane Center." … The first post-war recipient of CQ's Worked All Zones (WAZ) award has become a Silent Key at age 97. 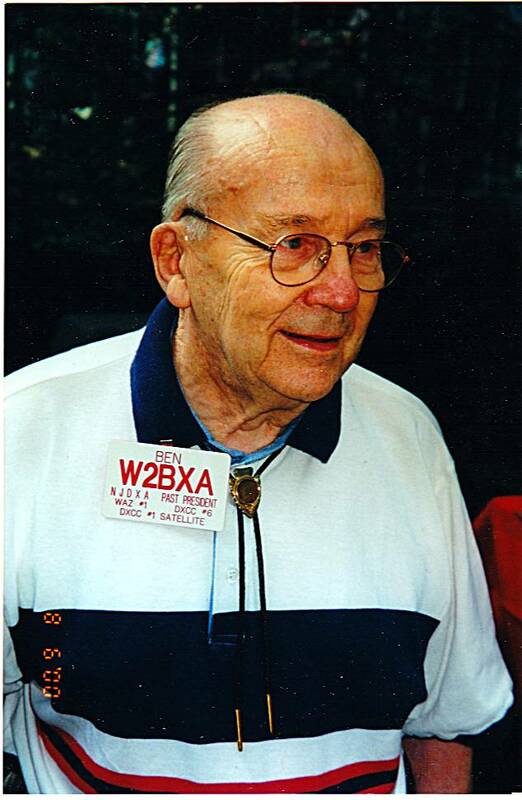 Ben Stevenson, W2BXA, of Colonia, New Jersey, qualified for the award in mid-1947, using all postwar contacts. Prior to World War II, only three hams had qualified for WAZ. Stevenson also held Satellite DXCC #1, mixed DXCC #6 and phone DXCC #6. He was also a founding member and first president of the North Jersey DX Association and active on amateur satellites. 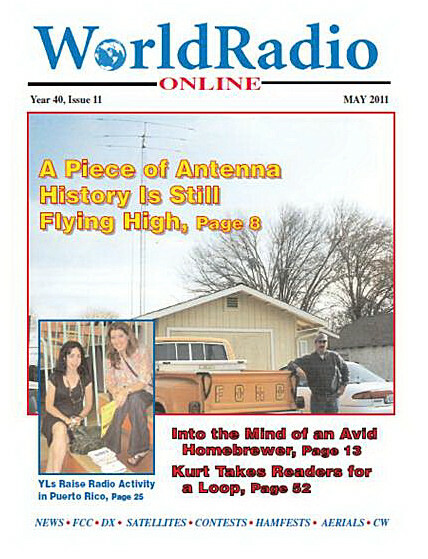 The AMSAT News Service reports that W2BXA and W2RS made the first-ever multisatellite contact in any radio service, linking up via AO-6 and AO-7 in 1975. The International Space Station now has two active amateur stations. In late April, according to Newsline, Astronaut Cady Coleman finished installing the Ericsson radio used for early ARISS (Amateur Radio on the International Space Station) contacts, in the Columbus Orbital Laboratory. Astronaut Paolo Nespoli then checked it out for proper operation in time-honored amateur fashion -- by making contacts with hams on the ground. At least one school contact has since been made using the new/old station. 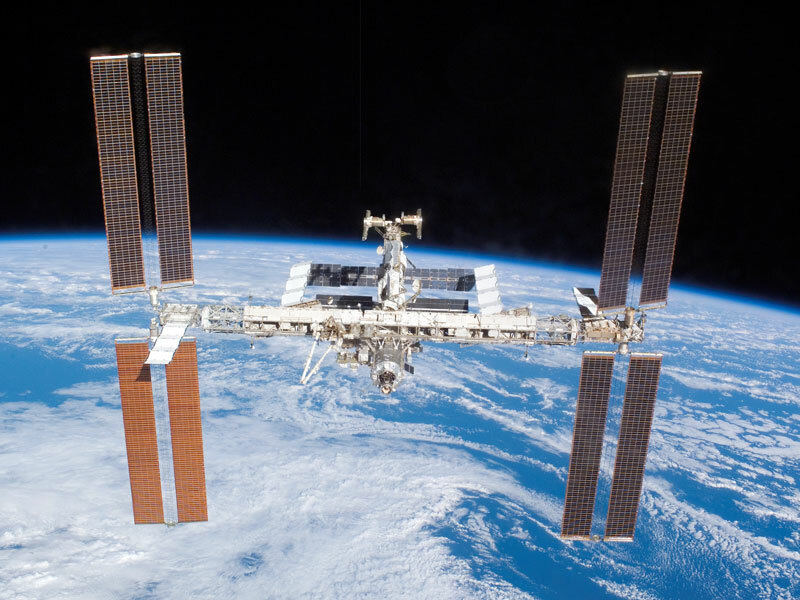 The failure of a much-ballyhooed activation of the ARISSat-1 satellite from on-board the International Space Station in April to mark the 50th anniversary of the first manned space flight has been blamed on a nearly dead battery. 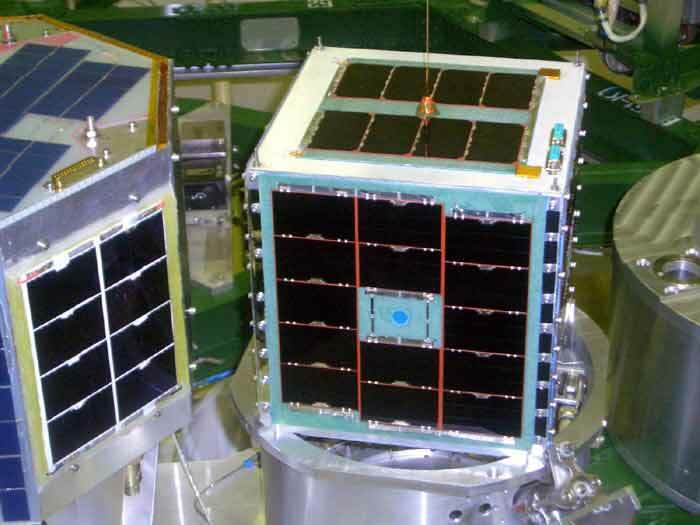 The AMSAT News Service reports that the Russian space agency told a teleconference that the battery had been charged only once on the ground and was then used for a variety of tests. 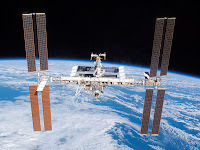 Since the battery can only be recharged a limited number of times aboard the ISS, it was decided not to recharge it before the Yuri Gagarin commemorative event. But the battery was nearly discharged at the start of the activation, no one on the ground heard the satellite and it was turned off after six hours to prevent excessive discharging. It also appears that the batteries aboard the AO-51 satellite are failing. AMSAT officials report that the batteries are in very poor condition and that the satellite will not retain the upload of flight software during eclipse periods when no sunlight is hitting its solar panels. The AMSAT News Service says it is uncertain when, or whether, the satellite will be able to return to normal operation. 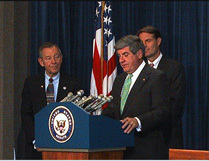 Two U.S. 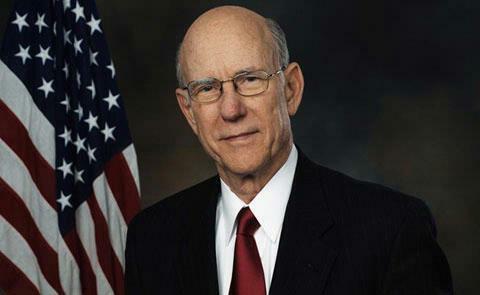 Senators -- Pat Roberts of Kansas and Ben Nelson of Nebraska -- are asking colleagues to join them in urging the FCC to take all steps necessary to protect the Global Positioning System (GPS) from interference. The FCC's International Bureau recently gave conditional approval for a waiver to allow LightSquared Corporation to build a worldwide broadband network on frequencies immediately adjacent to those on which the GPS system operates. According to Newsline, some experts are concerned that the broadband network will swamp GPS signals and make the navigation system unusable, while others claim that interference will be minimal or non-existent. The senators' letter urges the FCC to require that LightSquared "objectively deomonstrate non-interference to GPS signals" as a condition of final approval for its operation. Microphone manufacturer and showman Bob Heil, K9EID, will host a new ham radio show on an internet-only network known as TWiT.tv (This Week in Technology). His program, to be called "HamNation," was slated to debut on May 24, with Bob's good friend, rock legend Joe Walsh, WB6ACU, as the first guest. Joe also wrote the show's theme music, according to a news release. There is no indication as to how frequently new episodes will "air." … The FCC upheld a $4,000 fine levied on a Philadelphia ham for "freebanding." According to RadioWorld, Jose Torres, N3TX, had been cited in 2008 for allegedly operating illegally on 26.71 MHz. Torres had appealed the initial Notice of Apparent Liability for $4,000, claiming he wasn't home at the time of the alleged transmissions and that he couldn't afford to pay the fine. The Commission was not persuaded by Torres's arguments and affirmed the initial fine. … Hams in Indiana are exempted from the new statewide ban on talking and texting while driving. The Lafayette Journal and Courier reports that the new law bans the use of any telecommunications device to type, transmit or read text messages or e-mails while operating a motor vehicle. However, it says that amateur radio equipment operated by licensed hams, as well as radio gear in large commercial vehicles, are specifically exempted. 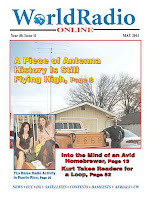 You're welcome to join WRO Editor Richard Fisher, KI6SN, for WorldRadioOnline magazine's monthly live online chat Sunday, May 1 at 3 p.m. Eastern time. At chat time, simply click the Cover It Live box at: <http://www.WorldRadioOnline.blogspot.com/ >. It's casual and friendly. Come as you are. Hope to see you there.